SRG SSR is the Swiss public broadcasting organisation, founded in 1931. 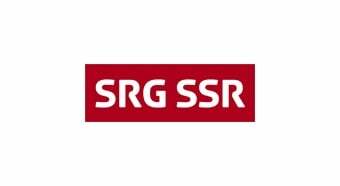 Headquartered in Bern, SRG SSR is a non-profit organisation, funded mainly through radio and television licence fees (70%) and making the remaining income from advertising and sponsorship. Switzerland's system of direct democracy and the fact that the country has four official languages (German, French, Italian and Romansh) mean that the structure of Swiss public service broadcasting is rather complicated. The actual holders of the broadcasting licences that enable SRG SSR to operate are four regional associations: SRG idée suisse Deutschschweiz (SRG.D), SSR idée suisse Romande (RTSR), Società cooperativa per la radiotelevisione nella Svizzera italiana (CORSI), and SRG SSR idée suisse Svizra Rumantscha (SRG.R). These four associations, which are to a large part run by the listeners and viewers in each region, maintain SRG SSR as a joint central production and broadcasting company.